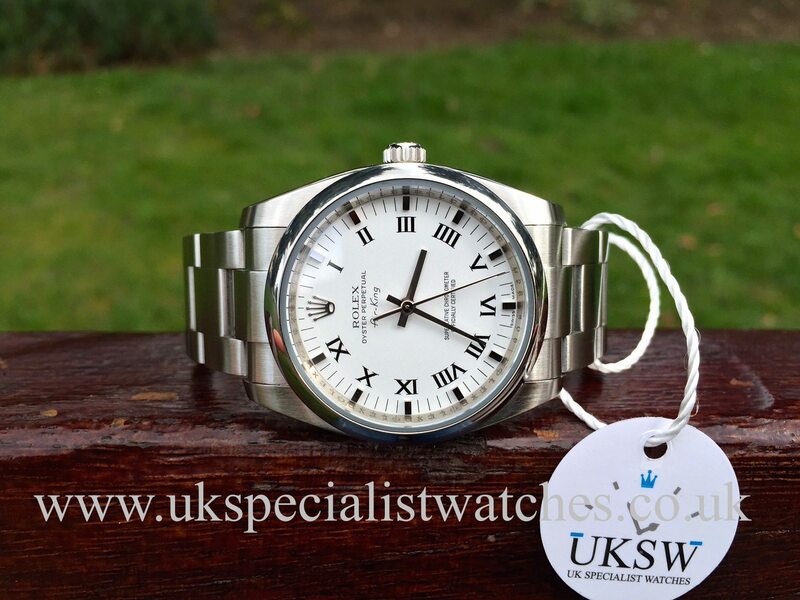 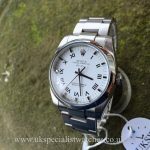 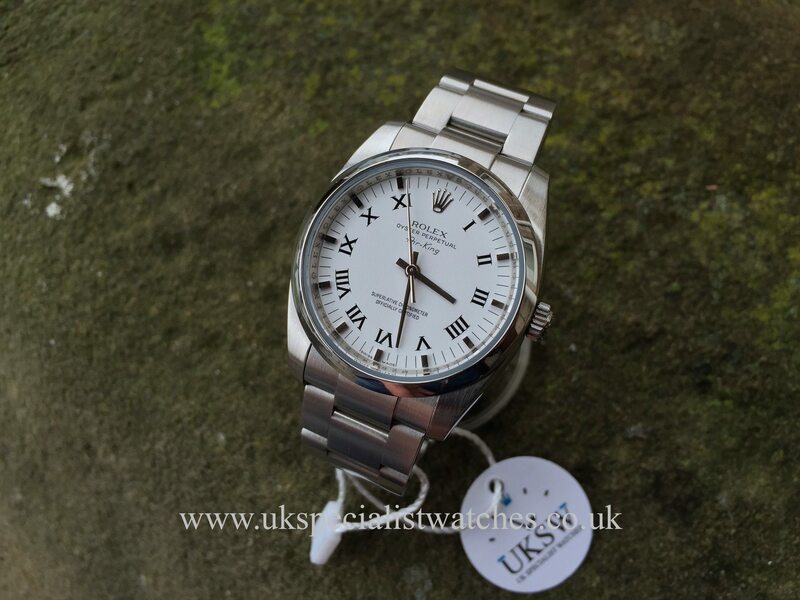 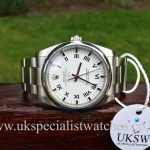 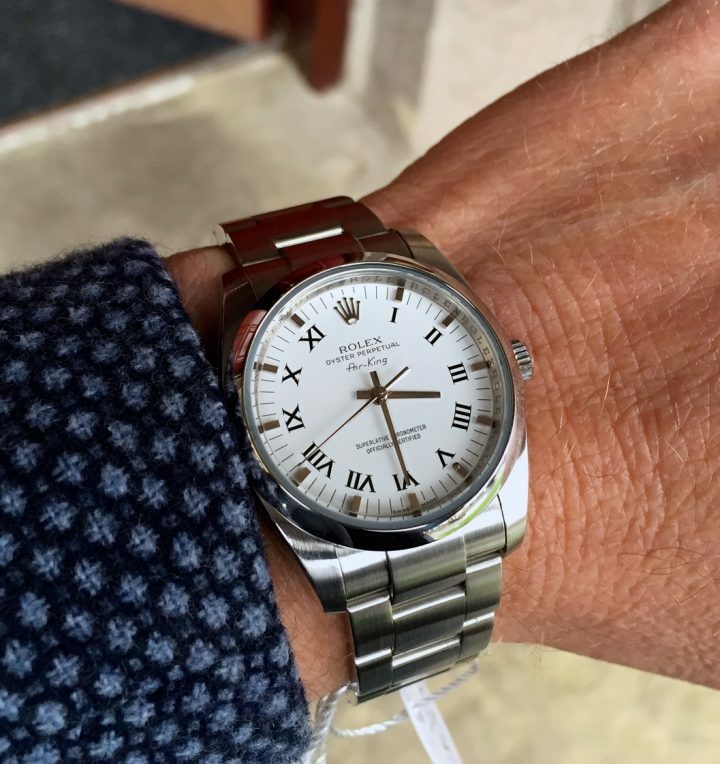 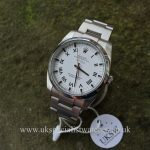 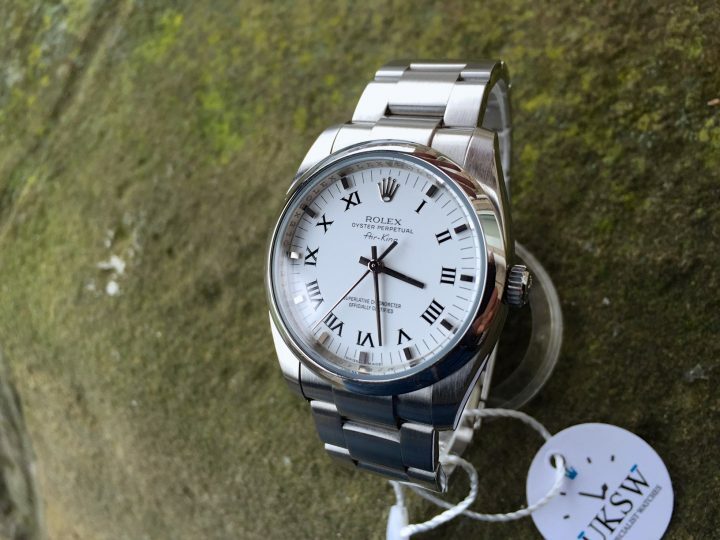 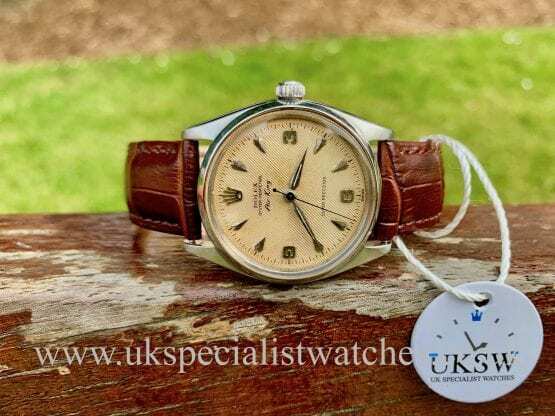 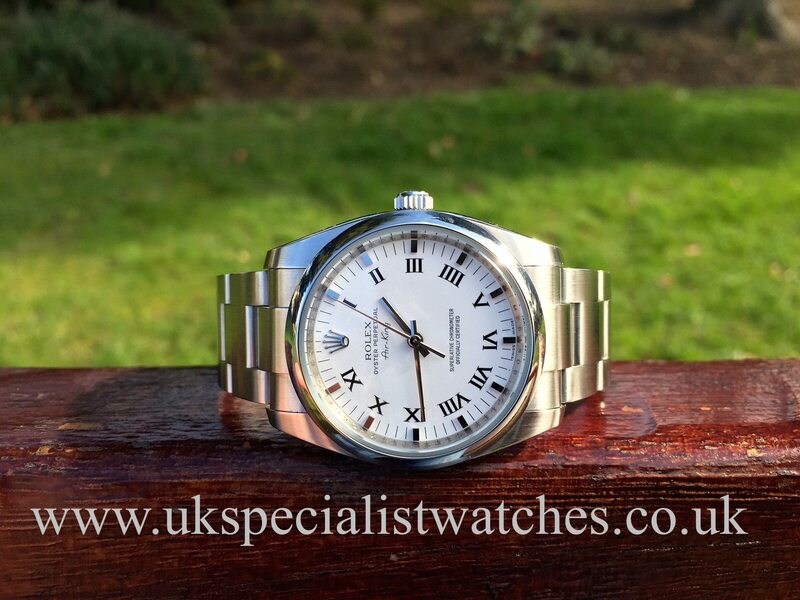 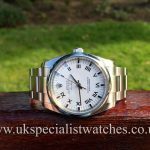 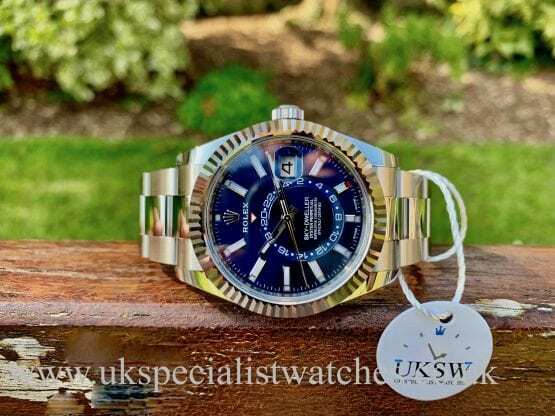 Rolex Air-King in stainless steel with a 34mm case, smooth steel bezel and a crisp white dial with black Roman numerals. 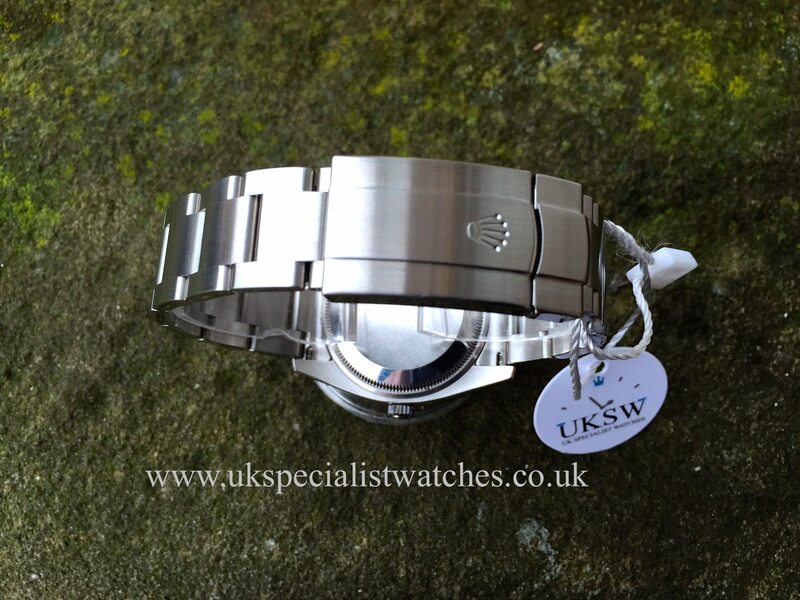 Brushed stainless steel oyster bracelet with the new style double folding clasp. 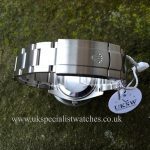 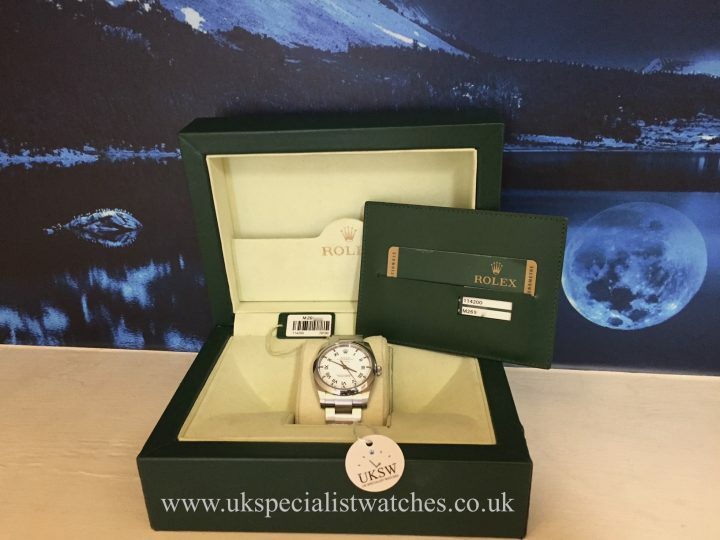 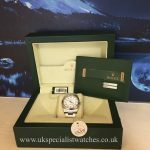 Supplied new in 2008 and comes complete with original warranty card, green leather wallet and boxes. With the introduction of the new model Air-King at the 2016 Basel world watch fair this model will soon become collectable!